Now You Can Have a Toe Kick Vacuum in Your Kitchen Without a Full Central Vacuum System! 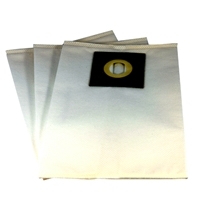 Welcome to the official home and manufacturer-direct website of Sweep-Away! Sweep-Away is a self-contained vacuum system for your kitchen or bath which provides the ever-popular automatic dustpan feature. * You no longer need to have a full central vacuum in your home to enjoy the convenience and quick clean-ups of a toe kick vacuum. The automatic dustpan you’ve always wanted, in YOUR kitchen. Get one for the kitchen, and one for the master bath! Also great for condos, cottages, RVs, and even boat cabins! 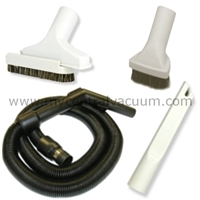 Add our optional cleaning accessory set and vacuum the whole kitchen, and even adjoining rooms! * Call it a kickpan, kickvac, vacpan, vacusweep, vacupan, vacsweep, toevac, toekick vac, whatever you like, the toe-activated automatic dustpan is a convenience all home owners love! Got a central vacuum system already? Then you can most likely add the same toe kick inlet into your existing system, right beneath your kitchen or bath cabinets – see our line of VacPans, with common installation parts, or without installation parts. Got a question? Ask our experts!